Contests, Recipes, SunButter Info And More! SunButter is excited to offer “Made with SunButter” stickers! These stickers are available as a free download online or for purchase by the roll online on Soap.com or through Amazon. They’re perfect for including on your child’s lunch or snack that you send to school or a summer camp or activity. With a growing number of food allergies, many schools are prohibiting peanuts and/or becoming completely peanut free. These stickers are a great resource to place on any snack, sandwich, or goodie that’s made with SunButter and 100% peanut free! Click the links to go to Soap.com or Amazon to purchase your roll of “Made with SunButter” stickers online! 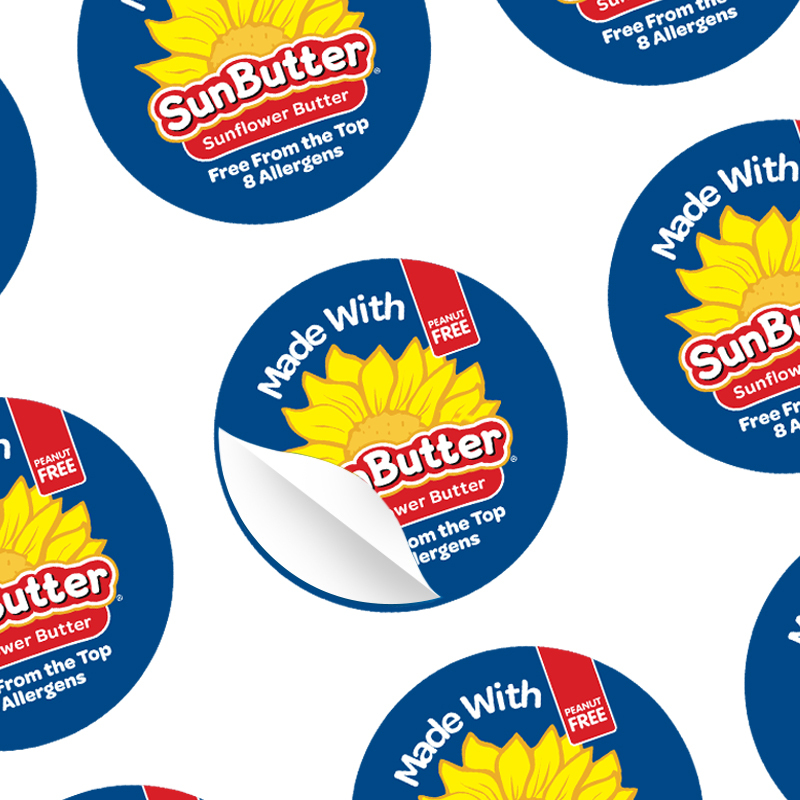 Follow these steps to print your own “Made with SunButter” stickers! 3. Use the stickers on lunch boxes, bags, baggies – wherever you want to show that your foods are made with SunButter and are peanut free and school safe! You may also print the stickers on basic 8.5 x 11 printer paper, cut them out, and use tape to stick them to any bag or baggie. Be sure to place the stickers on a dry surface and try to keep them in a dry area once in use (stickers may bleed/smear if they come in contact with water). Let us know what you think! Where are you using your “Made with SunButter” stickers?